As for the fabric, the way it turned out was a definite surprise! When I found the striped fabric at Jo-Ann, I thought the stripes were horizontal. But when I got home to wash it, oops! Turns out they were vertical instead. I actually debated doing a different fabric since I’m not usually a fan of how vertical stripes look, but it ended up turning out pretty good anyway. The blue fabric was also a find from Jo-Ann that I used last year when I made a back-to-school raglan for Mr. R.
I’ve sewn enough t-shirts now to know that there’s not really much variety in how much you sew them. The only thing unique about this one compared with most t-shirt patterns is the half bodice pieces. So once I got the pieces cut out and referenced the seam allowance necessary, I pretty much sewed the shirt on my own without referring to the instructions. I cut out the popsicle pieces using my Cricut Explore 2 (I think I’m starting to refer to this in every post! It really does get used a lot!). The applique is fabric attached using Heat-n-Bond, so to cut it out on the machine I lined up two straight cut rectangles of each fabric and ironed the Heat-n-Bond to one side. Once this was done, I put it on my cutting mat so the split between the fabrics was right in the middle of where the popsicle would be cut out on the machine. Another way I could have done this is to cut two separate halves of the popsicle separately, but I liked this method. The Cricut didn’t actually cut through the fabric all the way, and I know I could have fiddled with this more (or if you have the Maker I’m sure you’d be set for sure! ), but I just used what it did cut as a reference point and cut it out fully with scissors. That popsicle was dying to have a piece bit out of it, any my boys agreed! They keep pretending to take a bite out of their shirts in addition to their real popsicles. Would you like to make a popsicle as well? I put up the cut files in my resource library. Want to know what fabric I used for the popsicle stick? It’s from some light-blocking curtains that I cut up a long time ago! haha! Who knew I’d end up using them on a t-shirt someday? But the color fit and it has a fun texture, so why not? I loved sewing these fun summer shirts for my boys! What do you plan to make for your kids this summer? If you are looking for more inspiration, make sure to see the other summer creations by following the links at the end of this post. If you liked this make, would you mind sharing it via Pinterest with the image below? TIA! Please visit all the wonderful bloggers on the Get Ready for Summer Sewing Patterns Blog Tour for some incredible inspirations. I love your shirts. 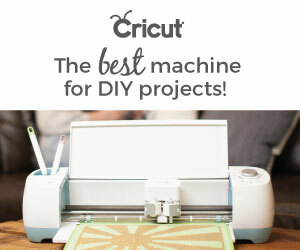 I want a Cricut machine. They sound so fun. I have a Cricut and have yet to use it for cutting fabric, you have inspired me though. Theses are adorable! This is so creative! I love how cute these little tops are!! These shirts are looking fabulous. Perfect for Summer. So creative! Such fun shirts!!! I love the way you reversed the fabrics and the direction of the stripes. Love these quirky looking shirts, such a joy to look at! Totally need these in my kid’s wardrobe to combat the heat here in Singapore.